Zenfolio рецензии 2019 - Защо 4.4 звезди? The robust e-commerce support accompanied by powerful gallery presentation makes this site builder a winner in a competitive market. Zenfolio is on a clear mission to make showcasing and monetizing your photography as simple as possible. Zenfolio has the tools you need to build a beautiful website - but don’t expect anything complex. You’ve decided to set up a professional portfolio for your work but how do you go about building a website quickly and on a small budget? A website builder such as Zenfolio may just be the kind of godsend help you are looking for. Zenfolio is an all-under-one-roof website builder specifically for photographers who have no coding knowledge but want to build a website to organize, display, and sell their works of art. 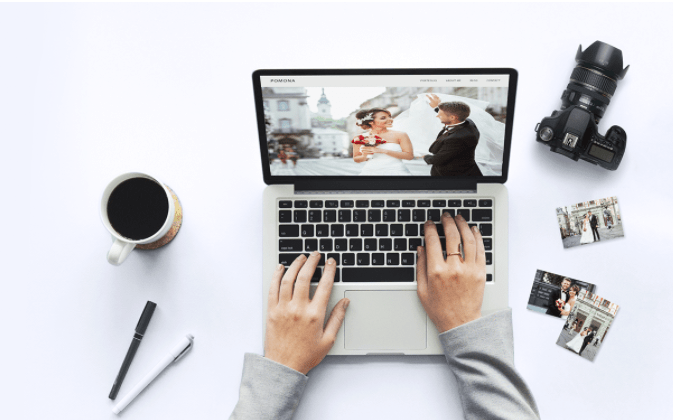 This builder has been in the market since 2004 and has generally managed to beat the competition to emerge as a top platform for amateur and professional photographers largely due to its powerful gallery presentation, e-commerce system, and marketing tools. While Zenfolio comes with the usual drag and drop interface, it has a slightly steeper learning curve. The interface is somewhat cluttered, so new users may take a little longer to master everything that is going on there. Fortunately, there’s a robust knowledge center and friendly customer support that will help you navigate the platform by answering any questions you may have. Zenfolio’s strong points are, undoubtedly, its e-commerce system and modern galleries, which really simplify how you showcase and sell your photography online. The few available themes will appeal to any contemporary photographer but do not expect much in the way of advanced customization especially with the pre-set templates that come with built-in custom pages. 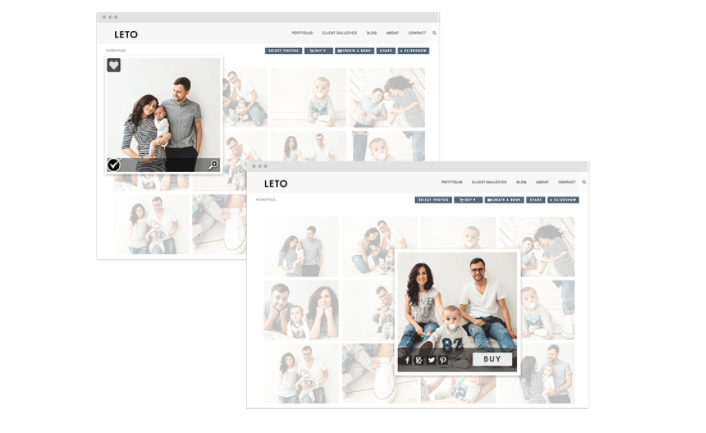 Choice of beautiful themes: There are 12 pre-set templates available on Zenfolio – each with a different overall layout, gallery composition, menu layout, etc. Although this is a rather limited number of theme choices, the great thing is that the templates are high quality, professional, and will effortlessly make your photography look stunning. From the site editor, you can build your own template from scratch if the ones here don’t appeal to you but you would require some coding knowledge to do so. Customization: Each template is editable so you can change elements such as the font, color, and background. You may also change the site layout using the available layout options and add or remove certain elements from a page depending on your preference. For example, you can remove or add a page footer or header and do the same for things such as contact information, menus etc. So, there are opportunities for basic site customization but expect only limited customization for the built-in pages. Responsive: Mobile-ready websites are now standard and Zenfolio does not disappoint. Clients can view, select, and order your photos comfortably from any device without any effort from your end—your website is automatically mobile-ready. E-commerce: Being able to promote and sell your work under one roof is important for any photographer and Zenfolio in very flexible in this area. The site builder does not have its own e-commerce function, but integration with popular shopping cart software makes it easy to include your own web store and to monetize your products. Search Engine Optimization: There are some pretty powerful SEO and marketing tools here, including search-engine-friendly HTML pages, free marketing campaigns, custom meta tags, an integrated blog, integration with Google Analytics and Webmaster tools, and so much more. Zenfolio makes it easy to grow your business organically through search marketing and deliberate marketing campaigns. Modern galleries: The branded, client-friendly, and contemporary galleries offered here is another of Zenfolio’s strong points. The galleries support unlimited price lists and video/photo uploads, they take the fuss out of client proofing, are shoppable and shareable, are password protected, and come with pre-filled price lists so you can start selling immediately after setting up your site and uploading your products. Zenfolio comes with built-in, multi-language pages, including the standard ones such as About Us, Contact Us, Pricing, Testimonials etc. Built-in pages can be a big time-saver—just upload videos/photos or write text. Zenfolio’s WYSIWYG (What You See Is What You Get) editor lets you edit, organize, and modify many of the page elements. However, making customizations on complex page elements such as forms, maps, or columns using this editor can be frustratingly difficult. I tried removing fields from the contact form using the editor and it was ultimately impossible so I had to contend with the default custom form. It is also worthwhile noting that the interface is cluttered with too many options and this adds another layer of complexity especially for a non-techy user who needs simple, straight to the point navigation. In this day and age, simple, minimalist drag and drop interfaces are the norm in the site builder niche, something that is missing from Zenfolio. Friendly Support is Just an Email Away! Zenfolio has done a nice job with its Support Center where you can easily search answers for your most pressing questions. You can also check out the in-depth training videos that will bring you up to speed with everything you need to learn about working with this site builder. While Zenfolio offers 24/7/365 customer support, expect to wait up to 4 hours to have your emails answered. The lack of live chat and phone support for Starter and Pro users can be quite frustrating especially if you have a concern that needs to be addressed immediately. You may connect with Zenfolio on Google+, Twitter, Facebook, and Instagram, which is a good thing in the age of social media. Zenfolio offers three plans to choose from – the Starter, Pro, and Advanced plans. Matched against the features offered on each of these plans, the prices here generally seem reasonable. The Starter plan lets you quickly set up a simple photography website. You get access to a stunning homepage, gallery templates, unlimited video and picture uploads, a custom domain, social media integration, a mobile-ready website, a tree-view organizer for the entire website, and all-year-round customer support. Sell self-fulfilled products and custom packages. Other Pro features include premium photo albums, marketing campaigns, and free full-service email. An Advanced membership earns you access to all the Pro features plus multi-user account privileges, micro-sites for events, advanced features for order management, and dedicated live chat and phone support. This plan will come in handy if you have a fairly large customer base because you will be able to set minimum orders, determine shipping methods, and to add an option for boutique packaging. You can take advantage of the generous 14-day trial period and the best part is that no credit card details are required for this. Although plans are relatively affordable and are generally in the range of what other website builders charge, paying monthly is almost 40% costlier than making yearly payments. There is also a 7% commission you need to pay for the sales you make on your photography site. This is not the norm with other site builders but it is probably worth it in exchange for what you get with Zenfolio. Zenfolio is on a clear mission to make showcasing and monetizing your photography as simple as possible. The robust e-commerce support accompanied by powerful gallery presentation makes this site builder a winner in a competitive market. Basic customization options can be quite a downer if you are looking for more design freedom. You will also have to contend with only a handful of templates but they get the job done with their minimalist and modern flare. With modern features such as mobile responsiveness, SEO tools, marketing campaign tools, and a photo blog, Zenfolio is a good starting point for any photographer who wants to set up an online presence quickly, attract clients, and seamlessly sell her work. Може би се чудите какви са предимствата и недостатъците на Zenfolio в сравнение с други уеб редактори? Въведете който и да е друг уеб редактор и ще направим нагледно сравнение на двата един до друг.